Markel Insurance has advised us that as of March 21, 2011, changes in United States federal regulations introduced amended procedures for U.S. carrier filings. Under these changes, the FMCSA no longer requires cargo insurance companies to issue cargo filings for those who travel to the United States. Exempt from these changes are household goods (HHG) movers and freight forwarders. 2. Will be canceling the BMC 34 cargo filing, as well as the BMC 32 endorsement that accompanies this filing upon renewal, for those of you who do not move household goods or operate as freight forwarders or load brokers for household goods. 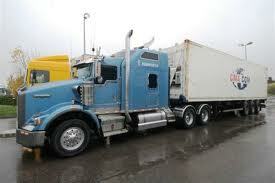 You may receive inappropriate warning letters from FMCSA. According to a bulletin issued by FMCSA, there was confusion in their internal system when this change was made, and many exempt carriers who correctly canceled their cargo insurance filing were sent a Notice for Revocation of Authority in error. This letter warns that the FMCSA will revoke their authority within 30 days of the letter date, due to absence of Cargo filings. Please note that any carriers (other than exempt carriers) who received Notices of Investigation for Revocation of Authority on or after March 21, 2011 do not need to respond if they have a service date of February 19, 2011 or after. The FMCSA has acknowledged that these incorrectly issued letters are a result of their own error. The FMCSA will not revoke the operating authority of non-HHG carriers and non-HHG freight forwarders whose cargo insurance expires on or after March 21, 2011. When you are applying for new business or renewal insurance it is routinely asked of carriers to declare the commodities they carry. It is now even more important that carriers declare whether they move or sub-contract the movement of household goods to or from the United Sstates, even in small amounts, so that insurance companies recognize that a filing must be made or preserved. Additionally, some U.S.-based shippers, especially freight forwarders and load brokers, may insist that carriers maintain the BMC 32 endorsement provisions regardless of the change in regulation. These requirements will often be stipulated in shipping contracts. Where such requirements exist, you must ask if your insurer will agree to issue the BMC 32 endorsement to the cargo policy. Who drives better in winter?